Following various experiments in the kitchen lab (muahaha) I’ve discovered my ideal sugar-free sponge with the birch sugar substitute xylitol. 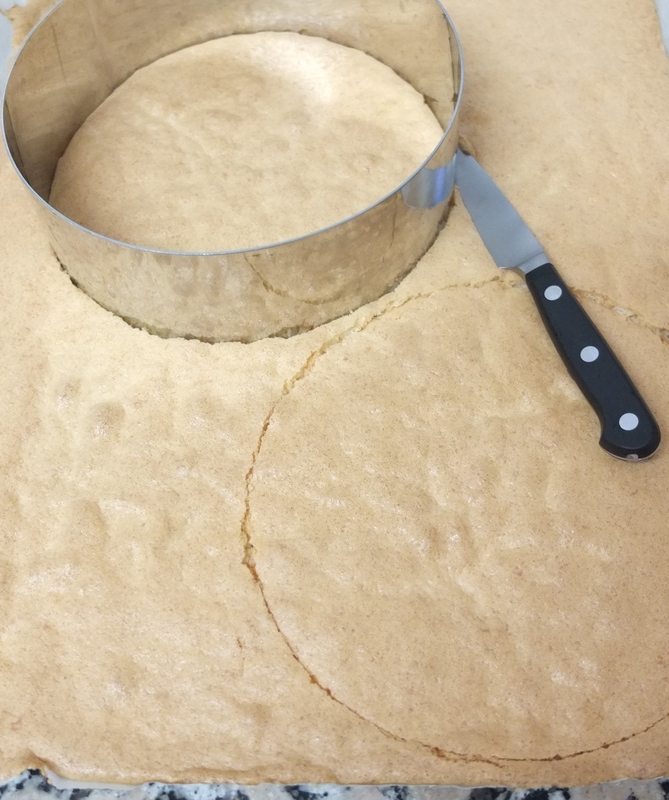 It’s a genoise whisked over heat. 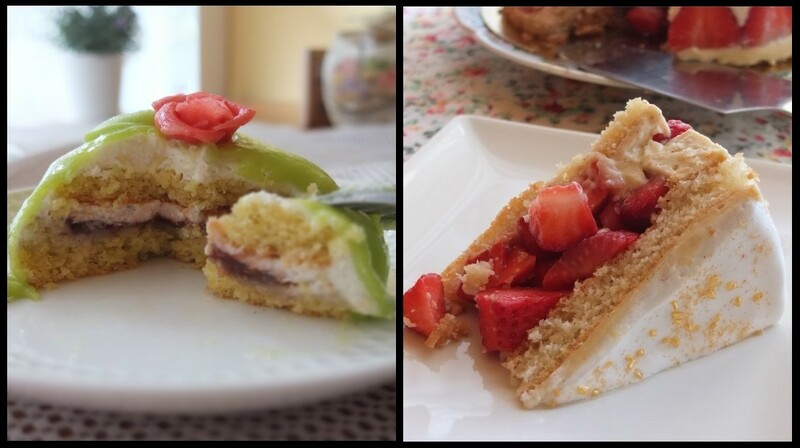 The first version with ground almonds is very slightly dry so works beautifully in concoctions like my healthier mini Swedish princess cakes and Fraisier (strawberry cake) which are filled with cream and/or creme pat. It’s a super light sponge. The second lower-gluten version is my new favourite: moist, very light and fluffy. Start whisking the yolks and sugar (or xylitol) immediately they’re together because if you don’t the sugar starts to ‘burn’ the yolks and lumps form. Avoid overheating your eggs at the earlier stage or you’ll get scrambled eggs (a genoise is not based on scrambled eggs, though this could be an interesting experiment). For the bain marie the bowl should fit nicely on the saucepan. There should only be a little water in your pan (1 or 2 cm/1/4 inch) and it shouldn’t touch the bowl. The water should be hot so you can see the steam coming up or on a very low simmer, but it should not be boiling. Take off the heat for a while if necessary, or lower the heat. Whisk the eggs constantly. If you get a thick ribbon stage (when the mixture falls from the whisk in a ribbon) over heat your sponge will be fluffier when baked (it needs to double or triple in size). When you take off the heat and whisk again until cold make sure your gets to a very thick ribbon stage. If you’re whisking manually don’t stop earlier because your arm is tired – learn to switch arms and use your left one. Grind the xylitol with a barmix or coffee grinder to the texture of caster/superfine sugar (more or less) but not as fine as icing/powdered sugar. This will make the texture of your genoise sponge nicer. You can use golden or white caster/superfine sugar if you prefer. In a medium-sized bowl whisk the flour, cornflour and ground almonds (if using, for version 1) together to combine. Whisk the egg and ground xylitol (or sugar) in a large metal or glass bowl for a few minutes then place on a bain marie. Whisk over heat until the batter doubles or triples in volume, thickens to ribbon stage and reaches a temperature of 45°C/113°F (a few degrees higher is okay – it should be hot enough that your little finger feels the heat but can still stay in the mixture). This can take up to 20 minutes or more. When it reaches this temperature and is at ribbon stage take off heat. Whisk in the salt and vanilla (if using). 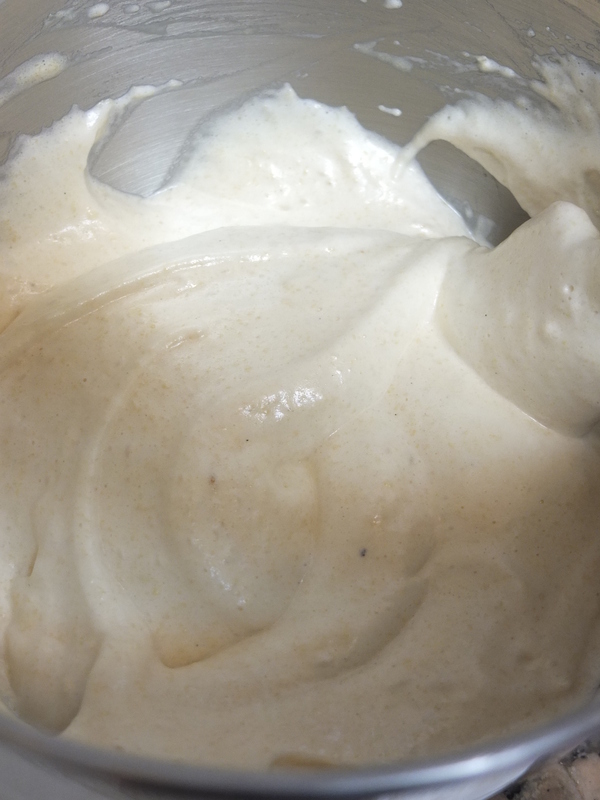 Whisk until the cake mixture cools (the bottom of the bowl should feel cold when you touch it with your hand). You can whisk by hand (around 15 mins) or on your stand mixer (5-10 mins). Add half of the flour in a stream and fold it in gently with a rubber spatula or metal spoon with a hole(s) with slow figure of eight motions, going through the middle then round the sides. When it’s starting to combine add the other half of the flour. Don’t overmix and stop when the flour is just incorporated. Pour into your cake tin or on your tray (spread with the minimum of movements possible with a metal spatula). Bake in the middle of the oven for 22 to 25 minutes (round cake tin) or 10 to 15 minutes (swiss roll or baking tray) till it’s golden, a skewer comes out clean when inserted in the middle and the top springs back a little when you press it lightly with a finger. Take out, remove from the mould and allow to cool on a wire rack before cutting, filling or assembling.